My parents moved to America from Hong Kong in 1981 right after they were married. I wouldn’t even enter the picture until 1986. But that first year in America was huge for my parents, both adapting to the new country and a new life. One thing that was perfect for my dad was that the San Francisco 49ers were starting to win. My dad didn’t know much about the NFL until he moved to America. His first exposure to the big, popular American sport was through the 1981 49ers. That team was so special to the Bay Area and it was the perfect team for my dad to follow, learn about the game of football. He fell in love with the team. Then you know what happened. The team made the playoffs. Dwight and Joe [Montana] connected for “The Catch.” Then the 49ers dominated, winning five Super Bowls in the next two decades. The 49ers became my dad’s team. And then as he raised me, we watched football together. The 49ers became our team. I wonder what would have happened if the 49ers didn’t have a good season that year. What if Dwight Clark and Joe Montana never connected on that play. What if…. But “The Catch” did happen. That launched my dad’s fandom. That in turn led to him teaching me about the game and to love the 49ers. Then you know the rest of the story for me. My 49ers blogging turned into being a 49ers beat writer, covering the team for three full seasons. 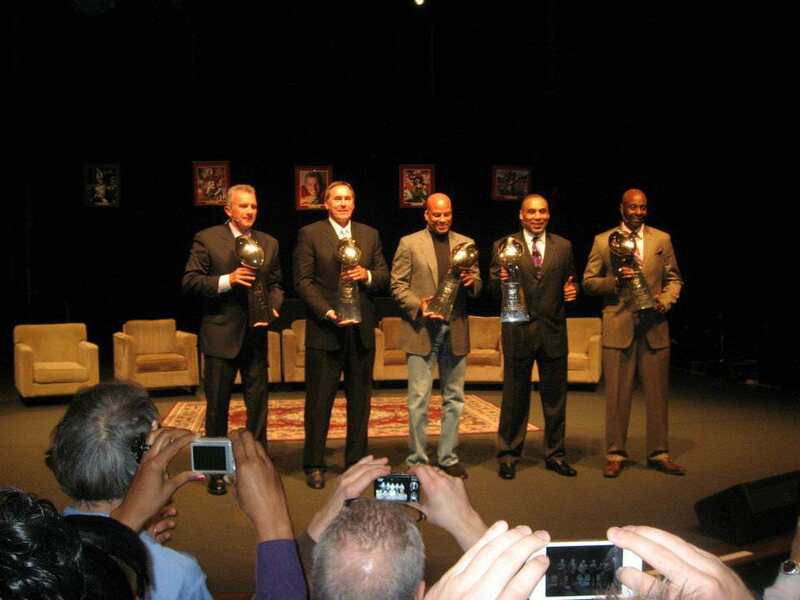 I experienced the greatest joy in my career covering the 49ers. That led to me taking a risk and moving down to Southern California to work at the NFL Network. Also stops by Yahoo Sports and FOX Sports. Also I met my fiancée in Southern California. Life is good now. I don’t think any of this would have happened if Dwight never caught that pass from Joe. My dad might have never become a fan of the 49ers. I might have never become a 49ers fan. And my whole life trajectory could have gone a completely different route. But Dwight made the catch. Dwight talked with me on the phone 26 years later. And somewhere in between, he unknowingly helped put me on this wonderful path in my life. I am grateful for this opportunity to share with Dwight, and that Matt was able to bring the letters to Dwight directly, reading the letter to him. Just knowing that I was able to share my story and that he was touched by it made me feel happy. I am certain Dwight’s catch changed many lives of others just like it changed my life. It’s what made Dwight so special to so many. And it wasn’t just the football that made him special. As I have read by so many accounts, it’s his charm and personality that was so much more special than his football life. Many of my colleagues speak so well of Dwight the person off the field. That he was a man who was genuine and real. 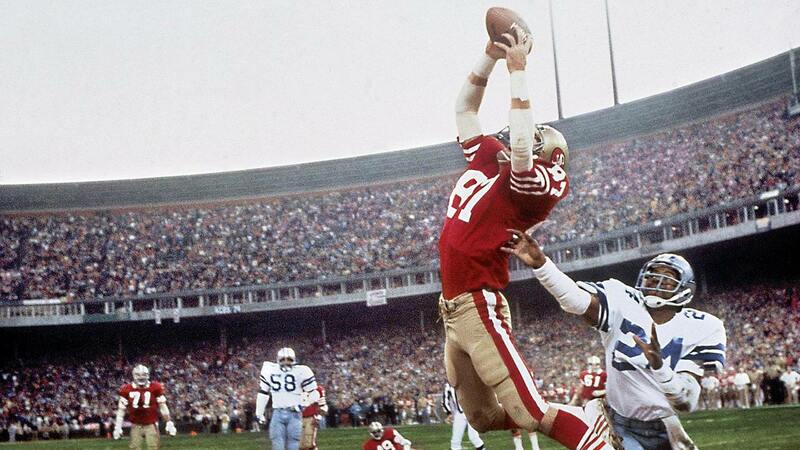 That’s why Dwight Clark day this past season was such a special day for all 49ers fans. Dwight just wanted to be with the people he loved. And he truly loved everyone. And even for this young 49ers blogger who was trying to get into the sports world, he gave me the day and the world by speaking with me on the phone. He didn’t know how nervous I was speaking to one of my idols. But he made me feel like we were just two friends talking football. I felt at ease that day. And today I am still in mourning. But looking back at everything, I know that I am forever grateful for what he did on the field that day in San Francisco to beat the Cowboys. But even more grateful for the time he gave this young college kid who was trying to make it in the business. Thanks, Dwight. You’re simply the best. This entry was posted in Column, NFL, San Francisco 49ers and tagged Dwight Clark. Bookmark the permalink.